Visit To Bhadrakali Temple, Hanumakonda In Warangal District. 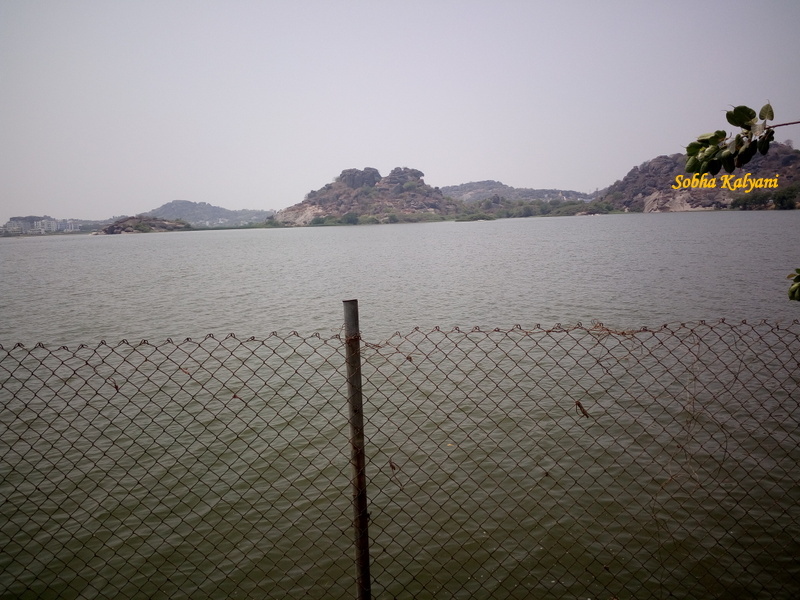 Hanumakonda is a historical town located between Warangal and Kazipet in the state of Telangana. The place is famous for Bhadrakali temple which is one of the oldest temples in India that is dedicated to Goddess Kali. Travelers can go on a road trip from Hyderabad to Hanumakonda which is approx 3 to 4 hours ride on NH 163. For a night stay, there are budget hotels at reasonable rates. The temple is located on the banks of a man-made (artificially built) tank known as River Bhadrakali. The temple was built by Pulakesi II of the Chalukya dynasty. He built the temple in 625 C.E (Current Era) to commemorate his victory over the Vengi region of the then Andhra Desa (present Telangana region). Goddess Bhadrakali was the family deity i.e 'kula devata' of the Kakatiya Rulers of 'Orugallu' (the present Warangal). The rich temple architecture reflects the past glory of the Kakatiya kings. 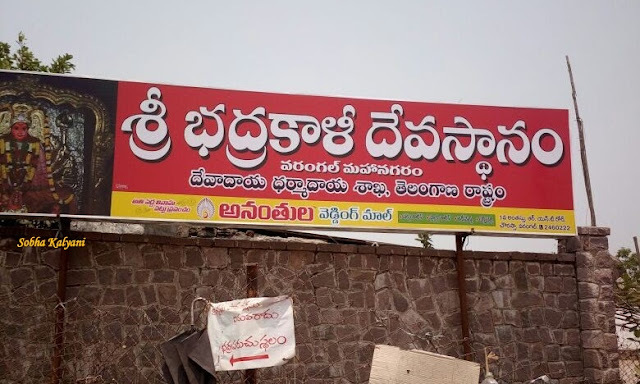 After the downfall of Kakatiya dynasty, the temple was abandoned / neglected for a long period. After the independence of India, the temple was renovated by Ganapati Sastry in 1950. There is a statue of lion in front of the temple as lion is the vahanam i.e vehicle of Goddess Durga and Bhadrakali is one of the forms of Durga Devi. 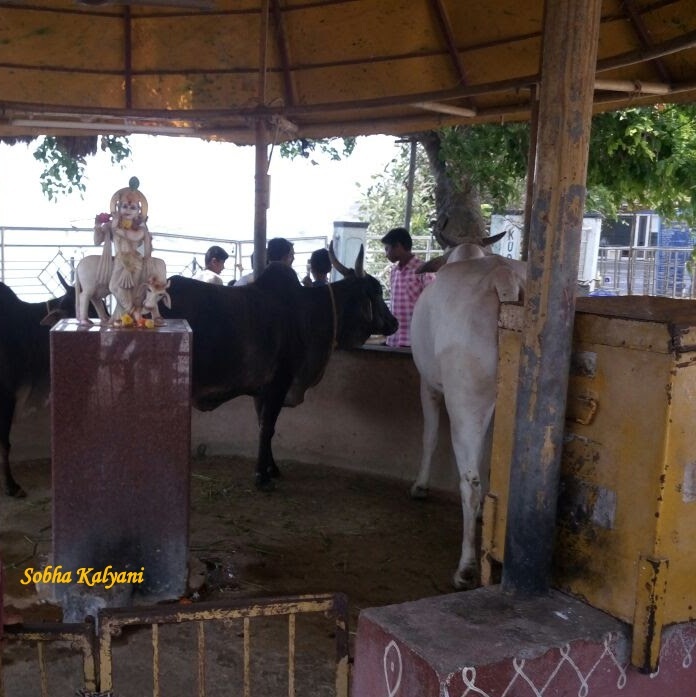 There is a 'dhwaja stambham' - the temple post (pillar) in front of the temple and a 'balipeetham' (the sacrifice seat). The age old custom of animal sacrifice was in practice in the ancient times. It is no more in practice after the renovation of the temple. The surroundings of the temple are beautified with natural rock formations. 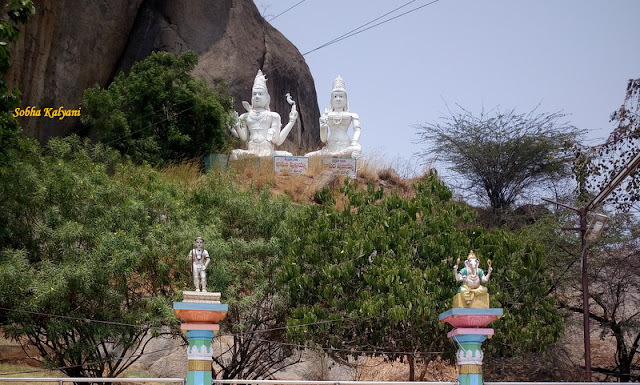 There are big idols of Siva Parvati on one of the rocky hills. There is long walk way to reach the entrance and it would be difficult on a hot sunny day to walk bare foot. However, there are shady places under the tree where visitors can rest for a while. At the entrance there is covered walk way for a relief from the hot weather. Devotees feel blessed on having the darshan of Goddess Bhadrakali. Goddess Bhadrakali is the main deity of the temple and is made of stone in a sitting posture. The goddess has a pleasant smiling face and has eight arms with weapons in each arm. The temple remains open for devotees from 5.30 in the morning till 1 p.m and again from 3 p.m to 8.30 p.m. The temple is crowded with devotees in the auspicious Hindu month of Sravanam. The other festivals that are celebrated in the temple include Dussehra (sharad) Navaratri, Bathukamma, Bonalu and other important Hindu festivals. After having the darshan of Goddess Bhadrakali and performing kumkuma pooja (offering and performing pooja with vermilion), devotees can walk to the goshala inside the temple premises. 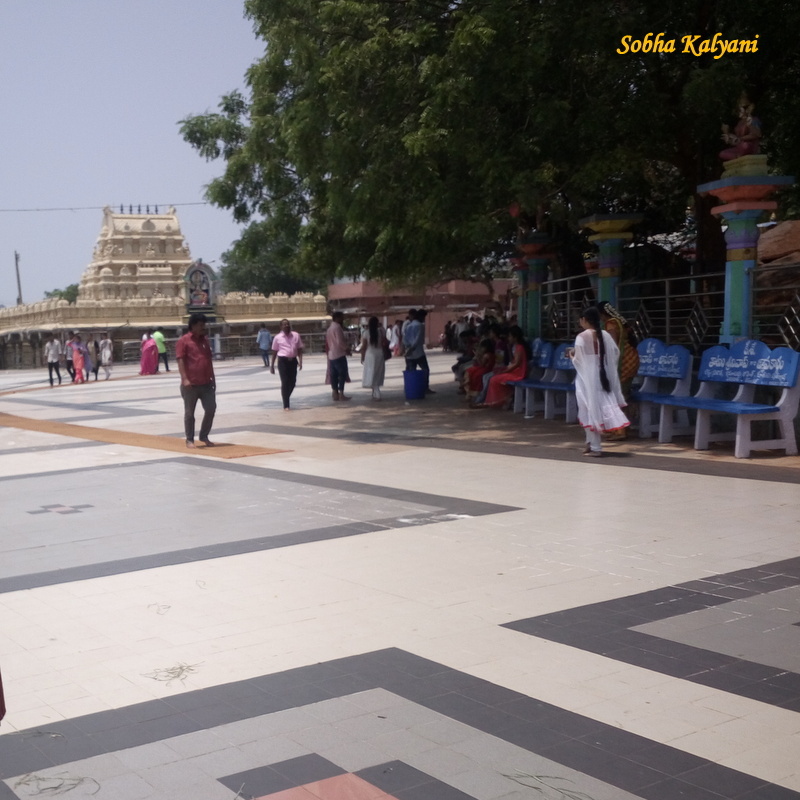 Most of the pilgrims / tourists also visit 1000 pillar temple / veyyistambhala gudi.